The immersive and experiential National Museum of Qatar (NMoQ) has opened, narrating the history of the people and territory of Qatar, with its remarkable heritage. Part of Qatar Museums, NMoQ incorporates, as its fulcrum, the restored historic palace of Sheikh Abdullah bin Jassim Al Thani (1880-1957), son of the founder of modern Qatar; a building that in the past was the dwelling of the royal family and the seat of government, and then the location of the original national museum. Designed by Atelier Jean Nouvel, the fascinating new building has an area of 52,000 square meters. Besides absorbing the historic palace in a seamless way, it features site-specific works commissioned to national and international artists, and displays works of art, archaeological relics, rare artifacts, precious objects, documents and historical photographs, offering opportunities for interactive learning. The architect's fragmented architectural design echoes the geography of Qatar while evoking the history and culture of the nation. "Qatar has a deep rapport with the desert, with its flora and fauna, its nomadic people, its long traditions. To fuse these contrasting stories, I needed a symbolic element. 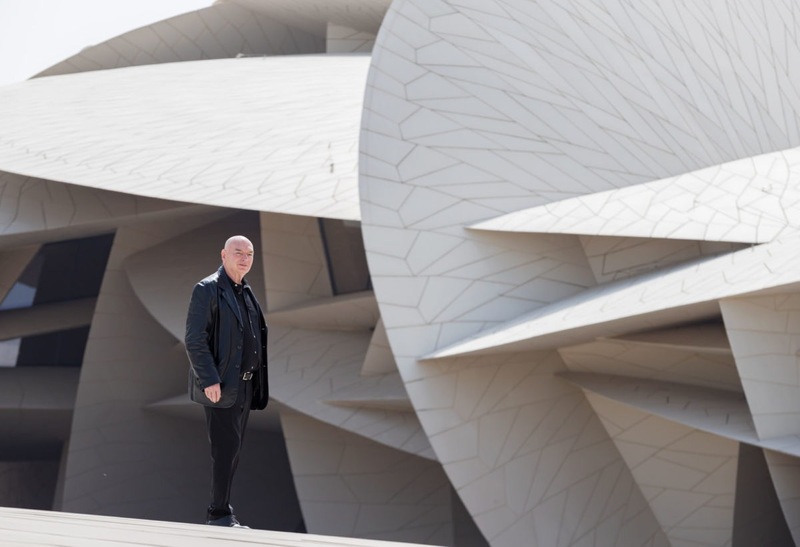 Eventually, I remembered the phenomenon of the desert rose: crystalline forms, like miniature architectural events, that emerge from the ground through the work of wind, salt water, and sand," Nouvel said. “The museum that developed from this idea, with its great curved discs, intersections, and cantilevered angles, is a totality, at once architectural, spatial, and sensory,“ he continued. 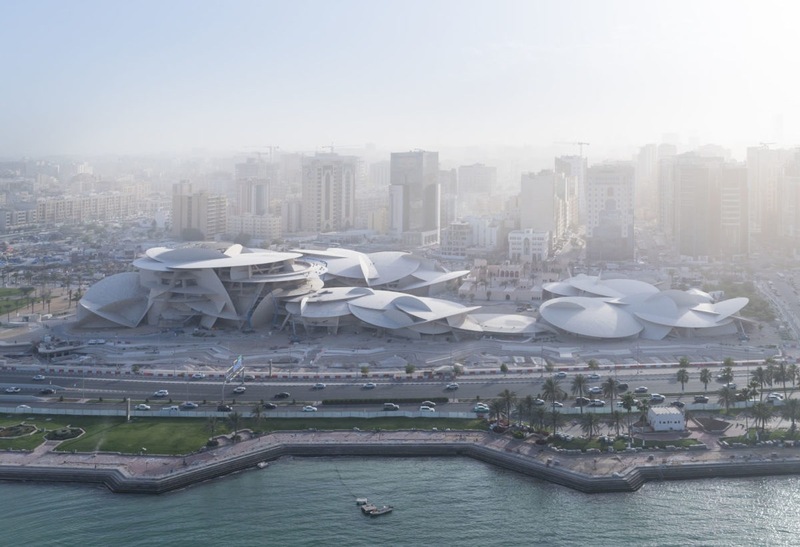 The National Museum of Qatar is organized in three ‘chapters’ — Beginnings, Life in Qatar and Building the Nation — presented in eleven galleries. The visitor’s chronological journey, which extends through more than 1.5 km of experiences, starts in the geological period long before the peninsula was inhabited by humans and continues to the present day. 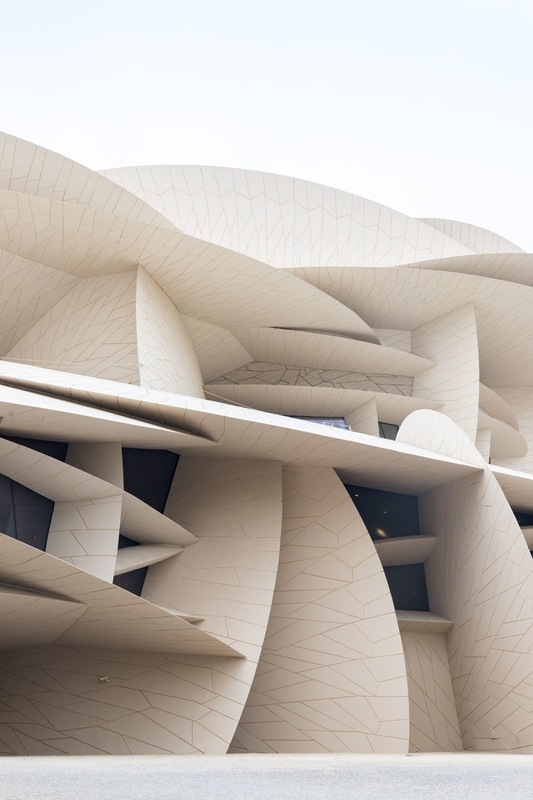 The museum is a totality, at once architectural, spatial, and sensory"
The route passes through a succession of impressive, remarkably shaped volumes until it reaches its culmination in the very heart of Qatari national identity, the thoroughly restored Palace of Sheikh Abdullah. Each gallery is an all-encompassing environment, which tells its part of the grand story through a creative combination of elements such as music, storytelling, archival images, oral histories and evocative aromas. In-depth coverage of the project will be featured in the May issue of Interni.